Holy Thursday is in the Christian calendar the commemoration of the Last Supper of the Lord. On Thursday morning, at 9.00 am. Bishop of Gozo Mgr. 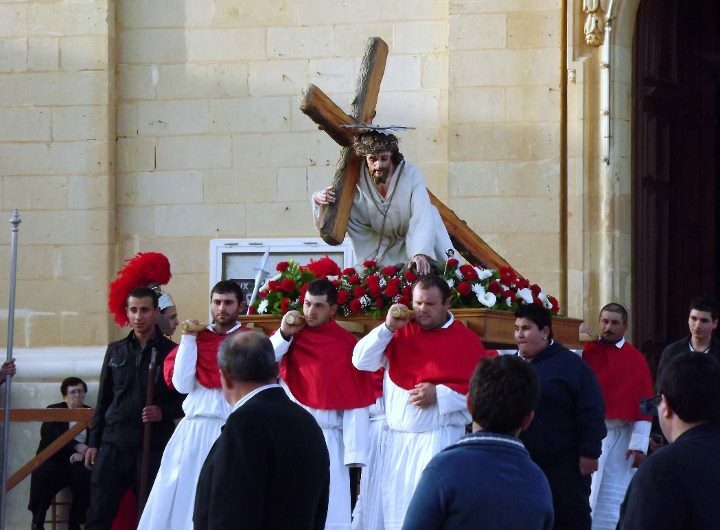 Mario Grech led the concelebration at the Cathedral Church in Victoria; all the clergy of Gozo concelebrated with their bishop. During the Liturgy the Bishop consecrated the holy oils that were distributed to the parish priests of the various parishes of Gozo. The holy oils are then used for the sacraments of baptism, Confirmation, Anointing of the Sick and Holy Orders. During his homily the Bishop mentioned the importance of the defences of life from its natural beginning to its natural end. He expressed also his appreciation and admiration for his priests who serve the community without expecting any gratitude. During the prayers, he prayed especially for sick priests and also for the two deacons who will be ordained to the priesthood on the 3rd of June. At 6.00 pm. the parish priest Can. Rueben Micallef together with the clergy of the parish entered the sanctuary to begin the liturgy of the Last Supper. The main part of the liturgy consists of the washing of feet; twelve men had their foot washed by the archpriest while the choir sung appropriate hymns. At the end of the liturgy, the Blessed Sacrament was solemnly transported to the Altar of Reposition which is still referred to by the populace as Is-Sepulkru. At 9.30 pm. 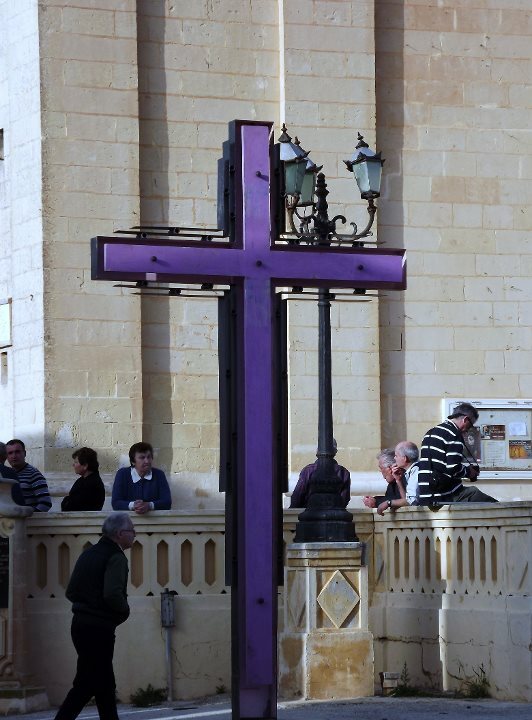 Fr Geoffrey G Attard accompanied the parishioners to the Seba’ Vizti which took place in various parishes in the eastern part of Gozo. At 9.30 am. The children of the parish and some of the altar-servers took part in the Seba’ Vizti which were organized for them. 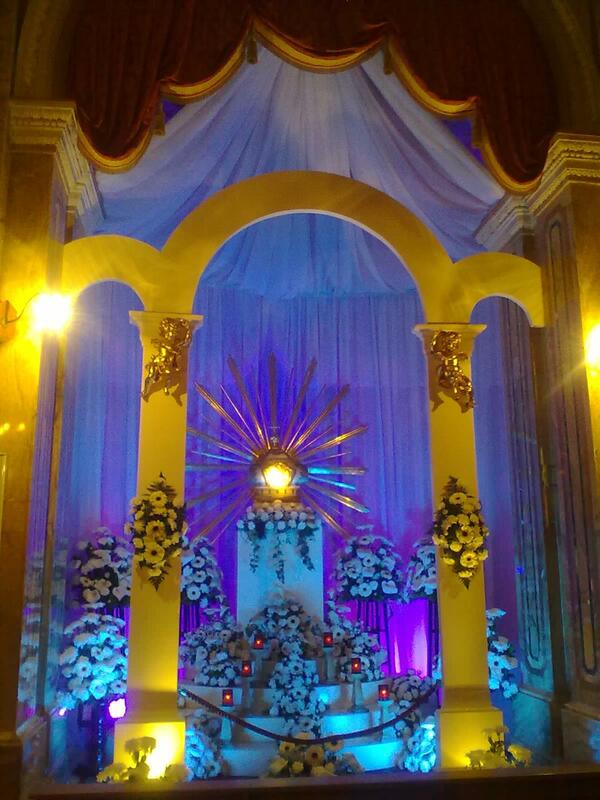 At 3.00 p.m. the Liturgy of the Solemn Commemoration of the Death of the Lord began in the church. The liturgy began in silence with the priests prostrating themselves before the main altar. Then the liturgy of the Word took place. The second part of the liturgy consisted in the Adoration of the Cross during which lamentations were sung by the choir and two readers read spiritual readings. The liturgy ended with Holy Communion. The procession began to march at 6.00 pm. and was accompanied by the Santa Marija Band. Mgr. Salv Tabone led the procession. Written by: Fr. Geoffrey G Attard.